At Lee Facial Plastics and Reconstructive Surgery, board-certified facial plastic surgeon, Dr.Arnold S. Lee performs a comprehensive array of procedures to help individuals achieve their various aesthetic goals, whether that be nasal reshaping or regaining the appealing, youthful contours of their faces. Well-known for his technical skill and aesthetic eye in facial plastic surgery, Dr. Lee is a trusted cosmetic surgeon in the Boston Massachusetts area, committed to the highest standards of patient care. If you are looking for a highly qualified and dedicated surgeon who strives to create beautiful, natural-looking results for his patients, please contact Lee Facial Plastics and Reconstructive Surgery to schedule your personalized consultation today. Dr. Lee offers a number of facial plastic surgery procedures at his Boston Massachusetts offices, including rhinoplasty (nasal surgery), facelift, neck lift, brow lift ,eyelid surgery, and otoplasty (ear pinning). His masterful techniques in rhinoplasty and revision rhinoplasty allow him to precisely reshape the nose and subtly transform the overall appearance of the face. With world-class training and years of experience performing various facial cosmetic and reconstructive procedures, Dr. Lee can expertly address facial issues and restore harmony between one’s features. He is committed to creating natural-looking results by using the safest, most advanced techniques available. For patients seeking non-surgical, minimally invasive treatment options, Lee Facial Plastics and Reconstructive Surgery offers several highly effective non-invasive options to help patients achieve smooth, youthful-looking skin. Dr. Lee provides the latest in facial rejuvenation, including fractional laser resurfacing, dermabrasion, BOTOX® Cosmetic, Sculptra®, JÚVEDERM® and other injectables, to address specific problem areas quickly and effectively. 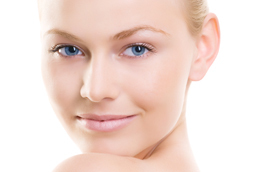 With extensive knowledge of facial aesthetics, Dr. Lee can customize a treatment plan that meets your unique goals. Arnold S. Lee, M.D. is currently the Director of Facial Plastic & Reconstructive Surgery and Assistant Professor of Head and Neck Surgery at Tufts Medical Center in Boston, Massachusetts. Dr. Lee is a double-boarded surgeon certified by the American Board of Facial Plastic and Reconstructive Surgery and the American Board of Otolaryngology-Head and Neck Surgery. He has written extensively on the topic of facial plastic surgery in a number of peer-reviewed journals as well as major textbooks. Dr. Lee is a regular contributor at various facial plastic surgery meetings and conferences teaching advanced facial plastic surgical techniques. He is a member of the American Academy of Facial Plastic & Reconstructive Surgery and the American Academy of Otolaryngology-Head and Neck Surgery. Dr. Lee also works with several medical missions groups that take care of children with cleft lips and palates around the world. Dr. Lee is dedicated to providing excellent results and outstanding patient care in a personalized, friendly environment. Whether you are considering rhinoplasty, facelift, brow lift, eyelid surgery, or other facial plastic surgery procedures or non-surgical treatments, our Wellesley and Boston, Massachusetts offices are committed to helping patients achieve the results they desire. To learn more about our exciting cosmetic and reconstructive surgery options, please contact Lee Facial Plastics and Reconstructive Surgery to schedule a consultation.